We're very lucky that SharlaJ saved all of SRK's tweets! 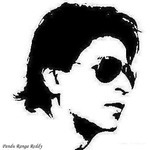 I reformatted the yearly Word files into HTML and added fresh downloads of all pics posted by SRK (or pics posted by his friends/associates that included him). So here they are, back to when he started in January of 2010. Thanks again Sharla! That is amazing! Thank you SharlaJ and Mary!!! great smilies Alexxia, where are they from? When he left Twitter in 2012 for a bit, I didn't know if he would be back, so I decided to go back and save all of his tweets. Just to have, for me personally. Once, I did that, I just kept saving them till now and that is how I have all of them. I just googled "Thank you emoticons" and found that one. SharlaJ - I kind of did the same - by favoriting his tweets and only his tweets. But I have not exported them yet. So thank you again - this is just so sweet of you. The 2012 archive page has been added to the first post. Enjoy! this is really excellent, cos now I can easily isolate his Q&A's and also try & find where he answered me a couple of times! Sandi, I see you're still having problems with the quotes. What you need to do is click down at the very bottom of the reply window, to get below the last closing quote... the one with /quote surrounded by brackets. If you start typing inside of that bracket, you're going to be answering within the quote. Whenever you're not sure, just click on the "BBCode" button at the bottom left of the reply window, then you'll be able to see where the closing /quote actually is. I think you can even go into your Profile and change your Reply preference to be BBcode all the time... Yes, when you go into Edit Profile, it's on the Settings tab. Choose BBCode instead of Preview as your default editor. OK, taking off for the weekend, but couldn't leave 2011 undone when it was so close. Added 2011 link to the first post. Thank you so much friends for doing so! OK, all done! The 2010 page link has been added to the first post. Some of the Tweetphoto links in his 2010 tweets were no longer available. I found some of them in my saved pics by matching up the date and the subject. If any of you have any of the missing ones, and feel pretty sure it's the right match, let me know and we'll get them in there. They've been added to the 2010 page. Carol - thank you - I haven't found any … so sorry!